November has just begun but I'm already half way through my Christmas shopping and holiday planning. The truth is as soon as July hits my brain is on Christmas and I'm brainstorming gift ideas for everyone. I just love the Christmas season. I love buying gifts for my family, making gifts with my children to give away, and most importantly having a whole month for focusing on the Savior as a family. Every year I try to incorporate new traditions into our family that help us think of the Savior during the month of December. 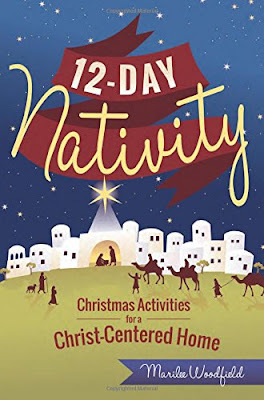 A friend of mine told me about this brand new book that just came out called 12-Day Nativity. I was excited to get my hands on a copy. This book was everything I hoped it would be. The book takes a twist on the popular 12-days of Christmas and shifts it into a 12-day nativity focusing on the Christmas story. What I love most about this book is how the author, Marilee, thinks of everything! It's well thought through to the very last detail. That doesn't mean it's complicated or hard to pull off though. Marilee offers a variety of ideas and suggestions so that you can adjust the experience to what works best for your family. Not only is the book chalk full of ideas for a 12-day nativity experience but it offers several other nativity related ideas as well. From advents, to celebrating with neighbors, nativity activities and crafts, explanations of how the nativity is celebrated around the world, and even a list of children's books that focus on the nativity story. This book includes it all! One of the activities in the book was making a nativity bracelet. I pulled my kids together and we got our minds on Christmas a little early this year and made one. This project was simple but meaningful. Using some dollar store pony beads and pipe cleaners we made our nativity bracelets. We reviewed the nativity story and each of the characters in it. Each child then chose a bead to represent each character in the nativity story (pink for Mary, dark blue for Joseph, and so on). After each character was assigned a color, the beads were strung onto the pipe cleaner in the order that they appear in the nativity story. The pipe cleaner was then turned into a bracelet. The beads can be slid across the bracelet as the nativity story is told and each character is mentioned. My kids had a great time each creating their own nativity bracelets. This is just one of the many fabulous Christ centered activities found in the 12-Day Nativity. Today I have one copy of the 12-Day Nativity to giveaway. To enter to win by leaving a comment telling me what your favorite Christmas tradition is. You can enter to win by leaving a comment below or by leaving a comment on our Facebook page. Don't want to wait to win? Grad a copy (or two) over at Amazon. One for you and one for a friend or family member. I think this book would make a thoughtful and meaningful Christmas gift. Don't you? Check out the 12-Day Nativity over on Facebook too. Giveaway ends November 6, 2015. My favorite Christmas tradition is making treats for our neighbors and friends. 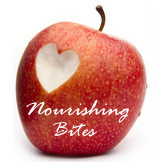 I love spending a day or two in the kitchen with my kiddos, then delivering them around the town! I love Christmas traditions, and in our family we do a lot of special things. One of my favorites is reading a Christmas picture book every evening. Your ideas have inspired us to help our chldren make and select meaningful sibling gifts. I would love to see the ideas in this book! We celebrate St. Nicholas day on Dec. 6. Santa comes then. Then it gives us the rest of the month to focus on Christ and service and family. For the last several years, we have done a Jesse Tree countdown to Christmas. I love how it points out that Christmas was not just one night in the making. It was part of Heavenly Father's plan for His children from the very beginning. I just brings it all together for us. My favorite holiday tradition is driving around with the family looking at Christmas lights. A close second is making christmas cookies and holiday goodies. My favorite Christmas tradition is having friends and family over for a Christmas music evening early in December where we enjoy hot chocolate or steamers and a few short musical numbers and also break out the chimes for young and old to play. We started this when we were single, and now that many of us are married and have kids, it will be fun to add a craft or the like in with this evening. Our favorite Christmas tradition is decorating the tree together while listening to "Alabama Christmas"